I've added a small new section on using PV modules that both generate electricity and provide shading. 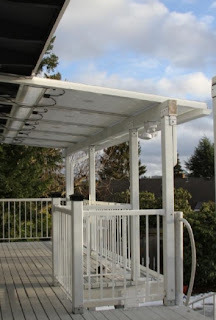 The main entry is an article sent in by Amy and Dennis Heidner which describes in good detail how they went about designing and building a deck canopy that provides shading for the deck and for the living space in the house behind the deck. Shading structure using PV panels. 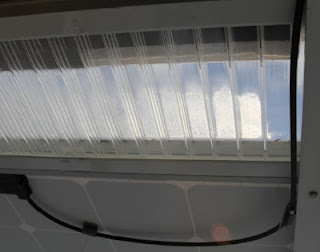 One of their concerns was that it would be too dark under shading surface made with PV panels. They describe how they were able to take light meter readings behind a variety of PV modules and find a module that had enough open area to provide the lighting the wanted. They also included small glazed areas above and below the PV modules that also let in light. In the end, they got just the light level they were looking for. Incorporating small glazed areas to get the right light level below the canopy. 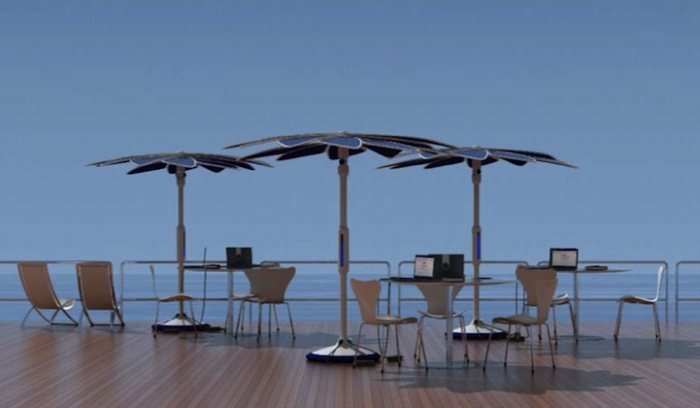 The new PV module shading section also includes the use of bifacial PV modules for shading. Bifacial PV modules accept light from either side and do not have the opaque layer behind the silicon cells that regular PV panels have -- this means that they are semi-transparent and this works out well for some shading situations. 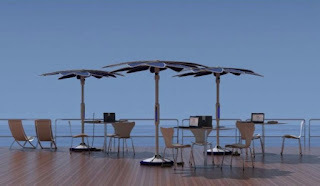 There are also links to a variety of projects that use PV modules for shading just to show some of the unusual and creative ways people have come cup with.